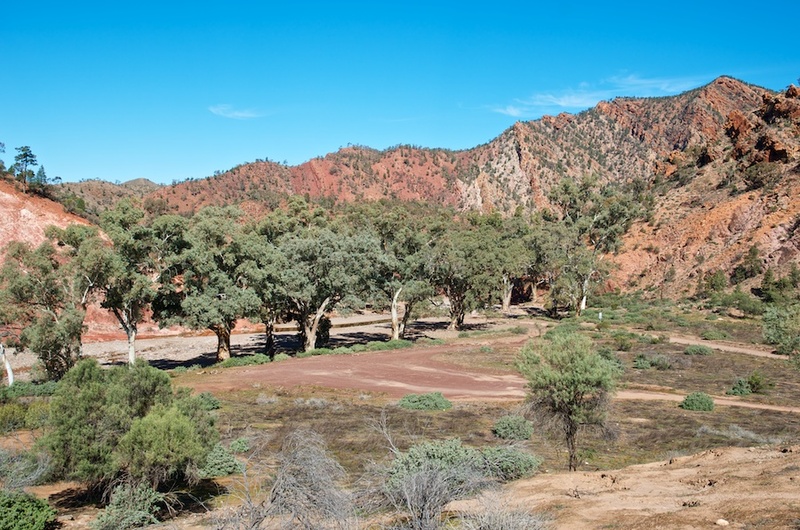 The Flinders Ranges are a fascinating part of Australia. The harsh light, the arid country, …, and the geology. Just left of centre, on the skyline, you’ll see a vertical line running up the side of the ridge. Here it is in detail. The Ranges were once horizontal strata, then a massive upheaval (or upheavals) occurred, and now that which was once horizontal is vertical. 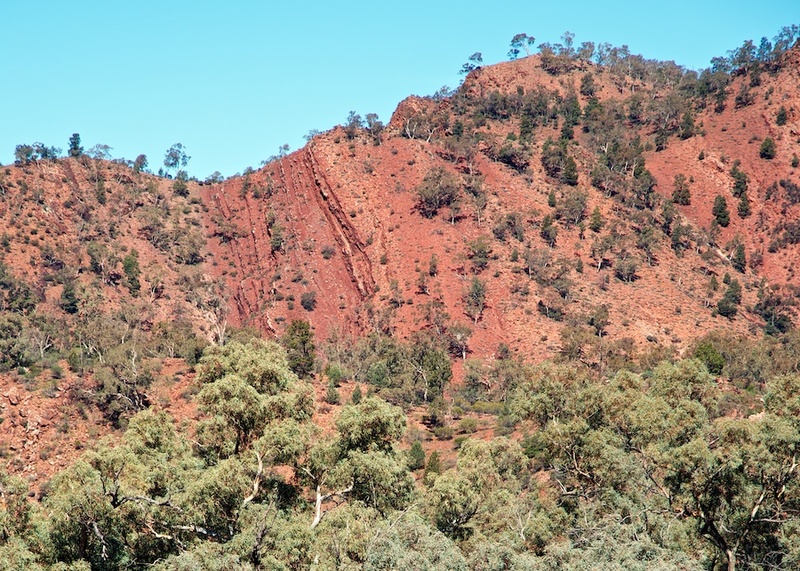 In places like Arkaroola, ripples in what was once horizontal sand now appear in the vertical sides of canyons. And old… so very, very old!